Congratulations to all those who have made it to the end of another of my gentle body cleanses. You now know what it is like to feel clean, clear and amazing! Why stop now? There is no reason to. I encourage you to look at ways to make little changes to keep you on the wellness track. That may mean staying away from dairy or sugar (or both) or switching to organic produce. Whatever that is for you, explore your own wellness path. You’re in the driving seat there. 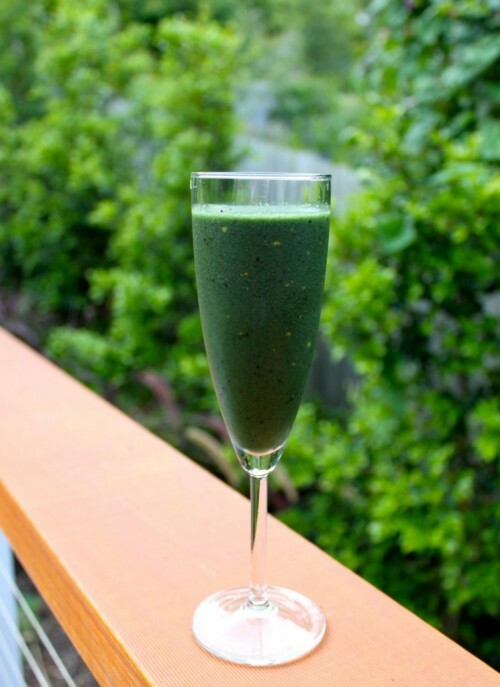 I can’t think of a better way to head into the weekend than with Jess’ Wellness Warrior Smoothie. Take it away Jess…. Jess Ainscough is a writer, health coach, cancer kickin’ Wellness Warrior — and very proud pug owner. When Jess was 22, she was diagnosed with incurable cancer, and was told that her only chance of prolonging her life would be to amputate her left arm. In the midst of all the angst and pain, Jess heard something within her telling her that there was a better way. She instinctively knew that this wasn’t going to be her fate. After researching anything and everything to do with healing cancer, Jess discovered that our bodies have the amazing ability to self heal – as long as we provide the right environment to do so.